The December First Friday was cancelled due to snow, ice and freezing temperatures that stayed with us throughout the week. Therefore we will celebrate the New Year by continuing our current show including all gallery artists. 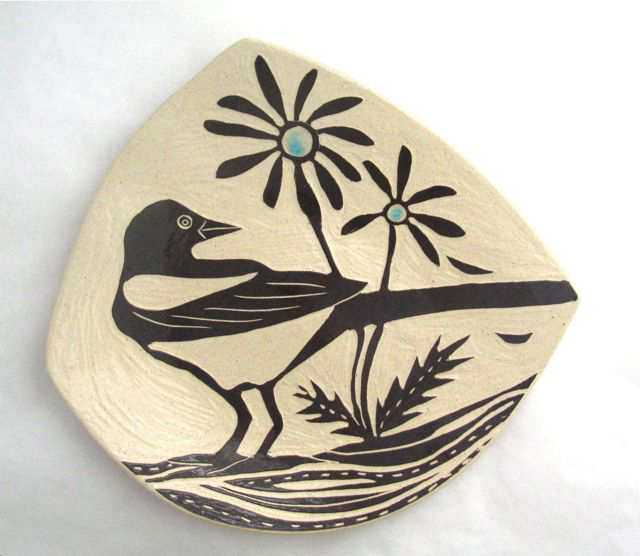 New ceramic work has been added – platters by Julia Janeway, small bird sculptures by Robin and John Gumaelius, and figures by Aggie Zed. Robert C. DeVoe’s 2014 calendar is also available.